The final rounds of the Yamaha Australian Off-Road Championship (AORC) take place this weekend (October 6-7) at Omeo, Victoria and the championship race are headed for an enthralling finish. Champions will be crowned and with that in mind AORC looks at each class and shows what is required to take the title at Omeo, Vic. In the J4 class things are going to get interesting this weekend, as current points leader Korey McMahon holds a 33-point gap over Kyron Bacon. 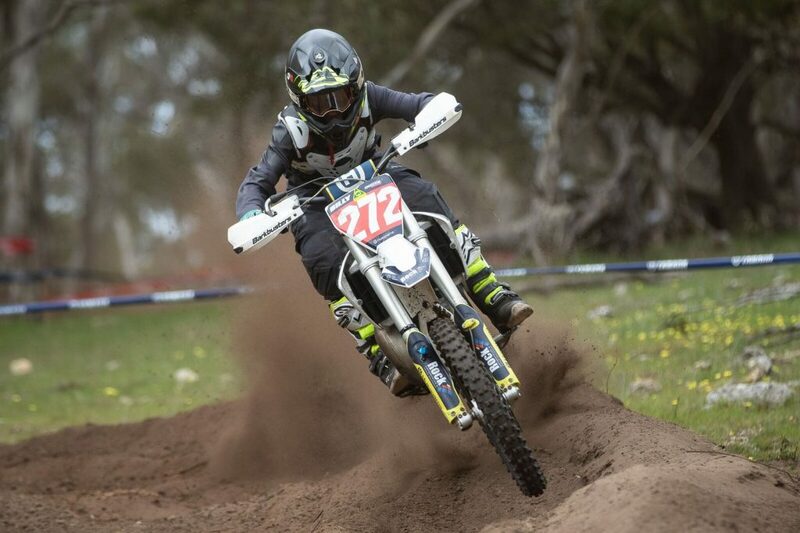 But McMahon who is an avid motocross rider as well is currently at the Australian Junior Motocross Championship in Penguin, Tasmania and will miss Saturday’s cross country. This leaves the door wide open for Bacon, and if he can take the win on Saturday it will bring the points gap down to just eight points, setting up a thrilling final days racing. Matthew Pye currently sits in third position in the race for the J4 title, but he isn’t out of it just yet, if Pye grabs the win on Saturday he will move to just 21 points from McMahon. With that in mind Pye sits just 13 points behind Bacon, a win on Saturday could put him right in the race to battle it out on Sunday as you never know what can happen on the final day. Leading the way in the J3 class is Blake Hollis, but he is another one of the off-road riders who is a keen motocross rider as well. Similar to McMahon in the J4 class, Hollis will miss Saturday’s cross country and will return for Sunday’s sprints. Hollis holds a 28-point advantage over Ned Chapman leading into Omeo, Vic. A win in Saturday’s cross-country for Chapman will bring the gap in the championship to just three points, basically meaning whoever takes the win on Sunday will also take the J3 crown. Coming into Omeo, Vic in third place is Charlie Milton. Milton sits 24 points a drift of second position and a further 52 points from Hollis in the lead. A good weekend from Milton won’t put him in contention to win the J3 crown, but a slip up from Chapman could open the door for Milton to grab second in the championship. A picture of consistency has been the name of the game in the J2 class for current points leader Billy Hargy. Having only missed the podium once this season, and when he missed he grabbed fourth, the Husqvarna rider currently holds a 21-point advantage. Kobe Conley sits in second place, after a season that has show immense improvement. Conley missed the podium at the first four rounds, before finding his grove at rounds five and six to pick up back to back wins. Conley will be looking to make up the 21 points he trails Hargy by at Omeo, Vic and with a cross country on Saturday, anything is possible. Just behind Conley in the third position is Max Phillips. Phillips is just 11 points behind Conley and a further 32 points behind Hargy. Phillips is finding form in the back half of the season, with his last three race results being a win, third and then a second. Richard Chibnall has been the rider to beat for most of the 2018 season and his stretch of four wins in a row from rounds 3-6, sees him leading the championship by 24 points. Chibnall has been a picture of consistency this season and hasn’t missed the podium at any round to date. Trailing Chibnall is second position heading into Omeo, Vic is Jade Gartlan. Just 24 points separates the pair and with a cross country on Saturday, you just never know what could unfold. In third position we see Peter Rudd filling the last spot on the podium, but he is just 17 points behind Gartlan heading into the final weekend of season 2018. Picking up five wins throughout season 2018 has Geoffrey Ballard heading into Omeo, Vic with 29 points lead. Ballard carries this lead despite missing a round at Broken Hill, NSW and will look to wrap up the championship with a win on Saturday in the cross country, if not he will have to wait to finish the job on Sunday in the sprints. 29 points a drift is Craig Treasure in second position and a further 16 points back is Michael Widdison sits in third position.